Analysis into the natural precedent of Slime Mould revealed a structural system of tensegrity within the cytoskeleton of cellular organisms. As a result, I set about gaining an understanding of this fascinating combination of tension and compression members. 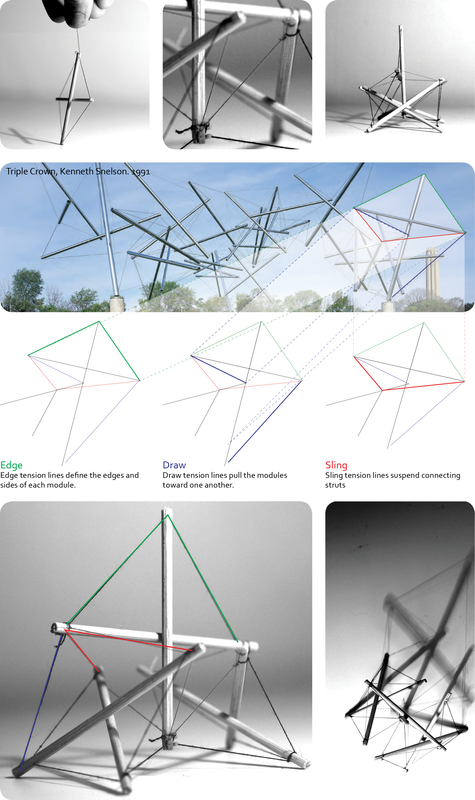 This page outlines the primary principals as understood from Kenneth Snelson’s research, along with some early model testing of the x-module.